After being pretty quiet on the new hardware front recently, Nest has officially unveiled its new Cam IQ smart indoor security camera. The Alphabet-owned company launched its first smart home-friendly cam back in 2015, which was followed up by the outdoor camera last year. Now it's back with a new look and a host of features to help you keep a closer eye on what's happening in your home when you're not there. That dark design exterior has now been replaced by a look clearly inspired by Nest's smart thermostats with a white polycarbonate body. To shoot 1080p HD video it uses a 4K image sensor with a Qualcomm CPU powering performance. There's also a 12x digital zoom for when you need to get up close and a pair of 940nm infrared lights to take care of recording at night. A three-microphone array picks up clearer audio than its predecessor and built-in security protects streamed video and stored footage. So how have things got smarter? The main new feature is the introduction of facial recognition technology that's able to differentiate between family members and strangers, sending out familiar face alerts when someone has returned home. There's also intelligent audio alerts for when there's something happening that the camera can't pick up, whether that's a person talking or a dog barking. These new alerts will be rolled out to Nest Cam Indoor and Nest Cam Outdoor camera owners who are signed up to a Nest Aware subscription as well. That subscription opens up extras like 10 or 30-day video history and features like Person alerts, which identifies when someone is in the camera's field of vision and sends a notification with a zoomed-in photo to the Nest companion app. It also adds Supersight support that will let owners see a 130-degree view of the room and close-up tracking of the person in the room to get a better idea of what they're up to. The Nest Cam IQ is available to pre-order from the company's website for $299 and is expected to start shipping by the end of June. 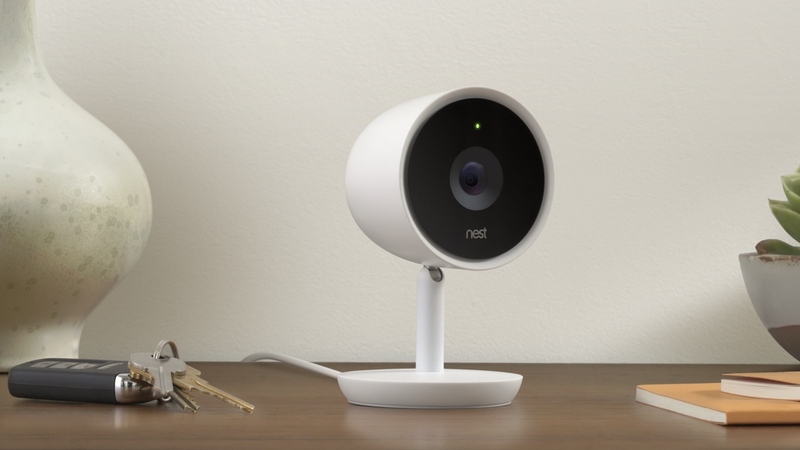 The original indoor Cam and outdoor Cam will remain at $199 with Nest Aware subscriptions still available on a per monthly or yearly basis starting from $10 per month.